DECLO – Charles Douglas Lind was born in Ogden, Utah, to Philbert C. and Cora Toyn Lind on March 21, 1929. He passed away quietly and with dignity on May 25, 2016. 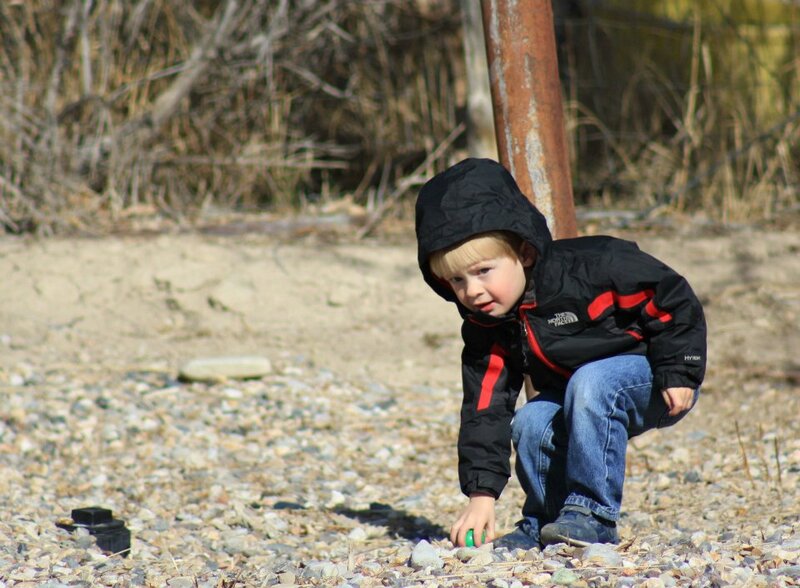 He joined a growing, and loving family that ranched in the small valley of Lynn, Utah. His childhood was spent with siblings, cousins, and animals. He attended school in a one-room school house where the basics were taught. He was able to attend up to the 8th grade in Lynn and from there, went to school at Bear River High School in Garland, Utah, graduating in 1948. During the Korean Conflict he enlisted in the United States Navy as a Fighting Sea Bee. While on shore leave, he met his future bride, Carol Warburton, at a Utah State basketball game. After leaving the Navy, he attended Utah State University graduating with a Bachelor of Science degree in agriculture. Doug and Carol were married June 14, 1955, in the Logan Utah LDS Temple for time and all eternity. They began married life in Lynn, Utah, where they started their family. 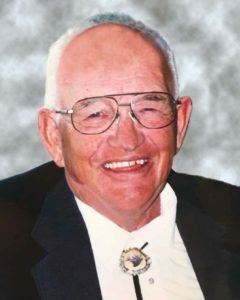 While continuing ranching in Lynn, he and Carol bought a farm in the Mini-Cassia area and they have continued to reside in the Mini-Cassia area until his passing. Doug was a stalwart member of The Church of Jesus Christ of Latter-day Saints and served in many capacities during his lifetime. He studied the scriptures on a daily basis and was delighted when he could share his knowledge of the gospel with someone. Douglas is survived by his wife, Carol; his children, Cheryl (Dan) Blauer of Burley, Larin (Lisa) Lind of Logan, Utah, Sandra (Craig) Burch of Declo, Daryl (Sheila) Lind of Logan, Utah, and Cydnee (Mitch) Clark of Burley; 12 grandchildren; and 11 great-grandchildren. He is also survived by his brothers and sisters, Kathryn Lind (sister-in-law) of Florence, Mont., Dwain Lind of Burley, Marvel (Junelle) Lind of South Jordan, Utah, Ellen (Hyrum) Olsen of Providence, Utah, and Virgene (Denton) Darrington of Declo. He was preceded in death by his parents; a brother, Oscar; and a sister-in-law, Margene. The funeral will be held at 11 a.m. Saturday, June 4, at the Declo LDS Stake Center, 213 W. Main St., in Declo, with Bishop Russell Bair officiating. Burial with military honors will follow at the Declo Cemetery. Friends may call from 6 until 8 p.m. Friday, June 3, at the Rasmussen Funeral Home, 1350 E. 16th St., in Burley, and from 10 until 10:45 a.m. Saturday, preceding the service at the church. 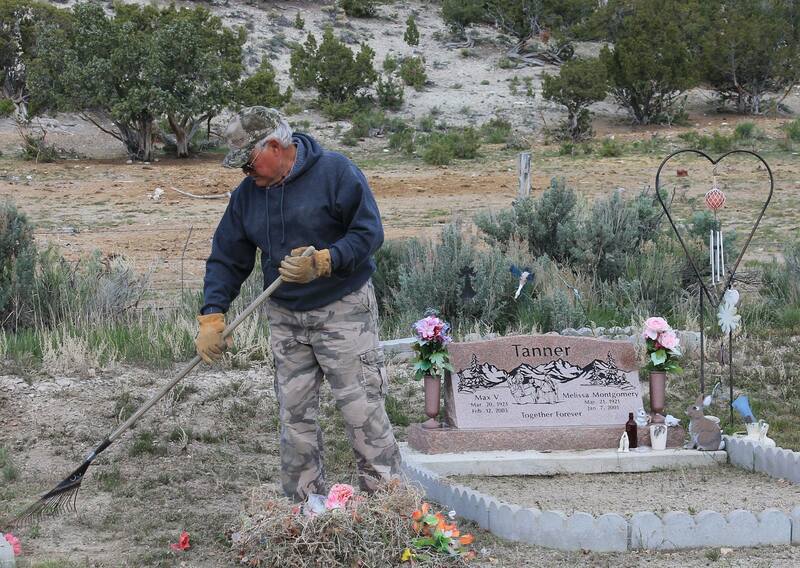 The annual cemetery cleanup will be Saturday, May 14. The LDS Branch will provide lunch meat, cheese, rolls, and condiments. They will also have lemonade and water. They will also have plates, cups, and utensils. Everyone is invited to eat and if possible, bring a salad or dessert. Arthur Wellington Weart Brothers, passed away March 30, 2016, after a very full life, very well lived. Born in Salt Lake City on December 2, 1930, to Hilda Von Erxleben (nee Peacock) from Bath, England and Arthur Weart from Vancouver, Canada. His mother parted from his father in the middle of the Depression, when Art was an infant. In desperation at not being able to provide for him, his mother gave him up for adoption. He lived his early years in many foster families and multiple schools, but he was later adopted by Harrison S. and Dorothy Brothers. He attended Granite High School until, at 17, he joined the Air Force in December of 1946 where he trained as a radio mechanic. Graduating at the top of his class, he declined an offer to stay at Scott Air Force Base as an instructor, and when the Korean War commenced, he was shipped to Nagoya, Japan where he was assigned as a radio mechanic to the 5th Air Force headquarters. He was later stationed in North Korea where he supported Marines coming ashore by repairing boilers, setting up electricity and salvaging, repairing and setting up field phones, control towers and switchboards. After nearly 5 years in the Air Force, and having been awarded a Bronze Star, he was released as a sergeant in 1952, in time to start school at the University of Utah in the fall where he studied business. After college, he worked briefly in Manhattan and then in Los Angeles. He later built a radio telephone system for boaters on Lake Mead. He became increasingly aware of unmet needs for telephone communication in rural areas where there was no telephone access at all, just the postal service. Puzzling through the legalities and regulatory complexities of telecom law, he applied to the Nevada Public Utility Commission to serve Montello, Nevada and Grouse Creek, Utah as a company he called “Silver Beehive Telephone Company” – because Nevada was the Silver State, and Utah was the Beehive State. Later he shortened the name to Beehive Telephone Company. The Nevada Public Service Commission shot him down but later, the Utah Public Service Commission granted him a Certificate of Necessity. Art wrote in his diary, “God hath made me a telephone company.” Art and his young wife, Tina Brothers, set off to rural Box Elder County to bring telephone service to Grouse Creek. True to his nature, Art created it all out of nothing and sweat equity. He used wire he got from military surplus and switching equipment given him by another phone company. He hand-built the original long distance line, climbing every pole, hanging every cross arm, stringing every piece of wire on every insulator. When he was done, Grouse Creek residents had telephone communications, and Art has since replicated this in every unserved area he could find and anywhere that Ma Bell wouldn’t serve. He was the CEO, the chief financial officer, and the lineman. 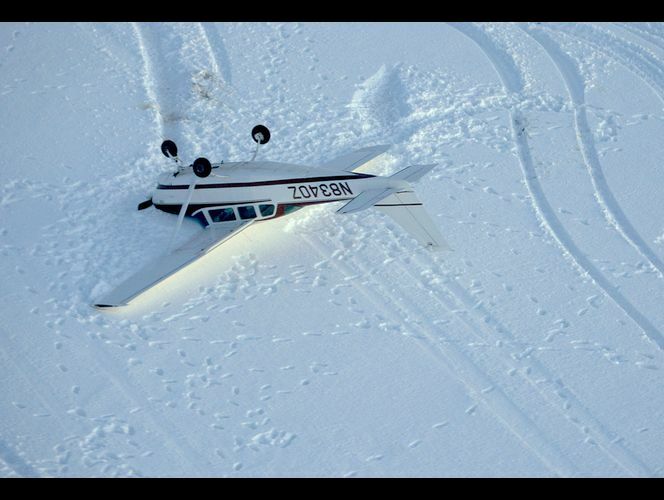 He served his remote areas by piloting his own planes, sometimes landing on public highways when necessary. Today, Beehive Telephone – now known as Beehive Broadband — employs 48 people and provides state-of-the- art service in telephone and broadband. His life became legendary for its inventiveness and resourcefulness. He was twice featured in the Wall Street Journal and for years, he wrote a column in a national magazine for rural telephone companies, inspiring and entertaining his readers by recounting his many adventures all over the world. He often received letters from mothers whose children had been saved from illness because they could (finally) telephone a doctor or a hospital, and for years, he maintained a telephone number (“1-234-567-8910”) where children could call and talk to “Santa Claus” – which caused Mountain Bell great consternation. Arthur is survived by his sister, Bonnie Cavill, and his children, Arthur Jr., Ravonne and Kenneth, whose success in life made him extremely proud. He is also survived by Rita Brothers, his beautiful and much beloved wife whom he met in Russia, and their daughter, Z Brothers. He is predeceased by his young daughter, Anastasia, whom he adored. His many employees at Beehive Telephone will remember him and work hard to honor his work and grow his legacy. Services will be held at Evans and Early Mortuary, 574 East 100 South, in Salt Lake City, Utah on Monday, April 4, 2016, at 11:00 a.m. A viewing will be held one hour prior to the funeral services at 10:00 a.m. A graveside service will follow at Mount Olivet Cemetery, and a lunch will be served thereafter at the Alta Club. 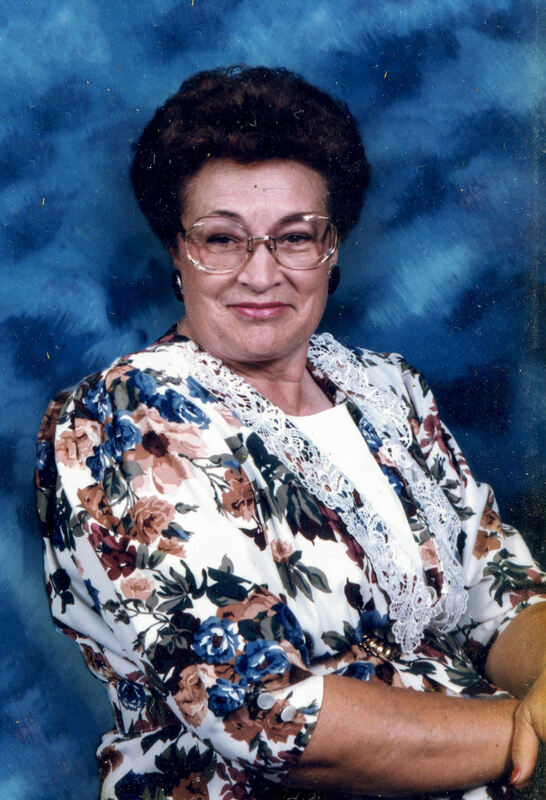 BRIGHAM CITY – Wanda LaVern Richardson Nelson Tanner passed away on Monday, February 22, 2016 due to causes incident to age. She was born 9 March, 1930 in Brigham City, Utah to Jedediah Grant Richardson and Wanda Ann Bowden. She was one of twelve children. She attended Lincoln Elementary and graduated from Box Elder High School, where she played the violin, sang in the glee club and played softball. She married Don B Nelson on 14 February, 1949 in the Logan LDS Temple and was blessed with six children. Don died in an industrial accident in October, 1965. She married Mervin Lamar Tanner in the spring of 1967. Merv brought three more children to the marriage so they had a full household. They were together 47 years. He passed away in January 4, 2015. She can claim a large posterity consisting of nine children, 44 grandchildren, 101 great-grandchildren and at last count 20 great-great grandchildren. In addition, she has cared for five foster children. LaVern was preceded in death by her parents, six siblings, and three grandchildren. She is survived by her children Norma Jean (Kerry) Mecham, Claine (Jamie) Tanner, Tammy (Kevin) Skenandore, Michel (Donnell) Nelson, Ilene (Steve) Call, Cindy Griffin (Randy Parsons), Jeff (Lori) Nelson, Gary (Kim) Nelson, and Rich (Debbie) Nelson. She is also survived by three sisters; Cleopha (Ben) Cogdill, Kate (Larry) Degunia, Rhea (Harvey) Christensen, and by two brothers; David (Charma) Richardson and Robert (Judy) Richardson. She enjoyed camping, hiking, gardening, and spending time with her children and grand-children. She was an excellent seamstress and enjoyed quilting. She was active in the Church of Jesus Christ of Latter-Day Saints and held a number of positions throughout her life. She and her husband; Merv, served an 18 month LDS mission in Suva, Fiji. Funeral services will be held Saturday, February 27th at the Brigham City South Stake Center at 2 PM. Address 865 South 300 West. Friends may visit family on Friday, February 26 from 6-8 PM at the Myers Mortuary, 205 S. 100 E., Brigham City, UT, and on Saturday from 12:30 – 1:30 at the Stake Center. Interment will be at the Brigham City Cemetery. The family would like to offer our heart-felt thanks to Integrity Home Health Care / Hospice for the outstanding service and tender care they gave our dear mother, during these trying times. Riverside, Utah- Luana Tingey Richins Andersen, 87, passed away peacefully on March 4, 2016. She was born on March 28, 1928 in Tremonton, Utah, to Henry Streator Tingey and Lillian Capener. She was raised in Riverside, Utah; she lived in Grouse Creek, Utah and Rupert, Idaho. She loved people and enjoyed living in these communities. Luana graduated from Bear River High School and then attended LDS Business College in Salt Lake City, Utah. She married H Douglas Richins on July 20, 1948 in the Logan LDS Temple. They were married 48 years and had three sons and one daughter. On November 15, 1997 she married Darwin Andersen in the Boise Temple. They were married for 17 years. She was a loving wife, mother, grandmother and loyal friend. She loved spending time with her family, especially camping and going to rodeos with family and friends. She also loved gardening and she was especially proud of her beautiful flowers. She also enjoyed reading and doing jig saw and crossword puzzles. She did embroidery, cross stitch, crocheting, making tissue boxes, and making things that she shared generously with her family. 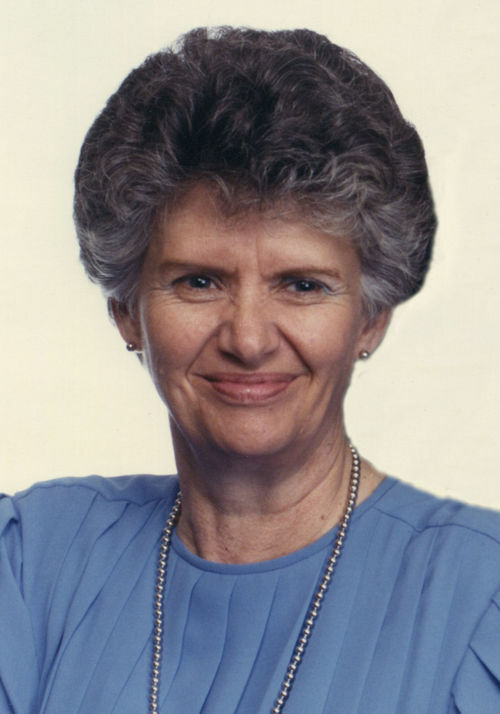 She was an active member of the Church of Jesus Christ of Latter-day Saints serving in various callings including counselor in the Relief Society, a teacher and an ordinance worker in the Boise Temple for 6 years, which she enjoyed very much. Luana was a hard worker. She worked at the Tremonton Valley Hospital, and owned and operated Jays Grocery Store in Riverside. All who knew her enjoyed her cheerful sense of humor, she will truly be missed. She is survived by Sheldon (Sharkey) Richins, Sherm Richins (Julie Kay), Anita Godfrey (Max) all of Riverside, Steve Richins (Julie) of Tremonton, Ross Anderson of Oregon, Lynne Larsen of Layton, Jan Kirkham (Gene) of Lehi, Kaye Katseannas (Tom) of Pocatello and Susan Shrader (Alan) of Cedar City. Mom was proud of her large and growing posterity that she loved. She was preceded in death by her husband’s H. Douglas Richins and Darwin Andersen, and her brothers Donald, Denton and Vaughn Tingey. Funeral services will be held at the Belmont 2nd Ward LDS Chapel (16925 N. 5200 W., Riverside) on Tuesday, March 8, 2016 at 11:00 a.m. There will be viewings held on Monday, March 7, 2016 from 6-8 p.m. at the Rogers & Taylor Funeral Home (111 N. 100 E., Tremonton, UT) and prior to the service at the church from 9:30-10:30 a.m. Interment will take place at the Grouse Creek Cemetery. The family would like to extend a special thank you to everyone working at the Countryside Care and Rehab Center in Rupert, Idaho and the Sunshine Terrace Foundation in Logan, Utah. We would also like to extend our thanks to LDS branches at both facilities for the wonderful care and friendship they gave our Mother. The family wishes to thank Belmont 2nd Ward for their compassionate service.